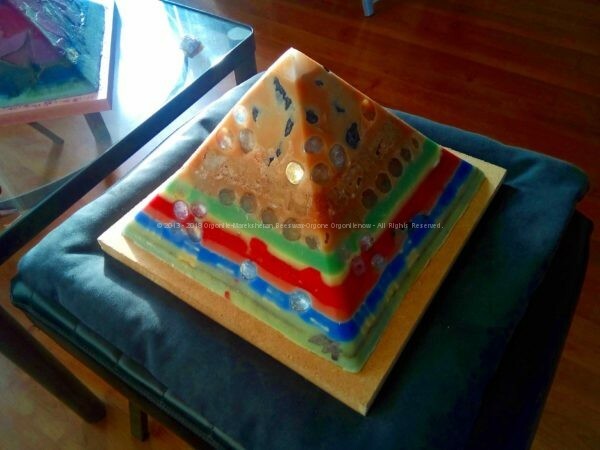 Paris Pyramid 24 cm pyramid orgonite is a very beauty and powerful 24 cm orgonite pyramid, unique as all my artworks, and often trying to do something of new. 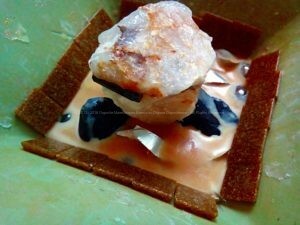 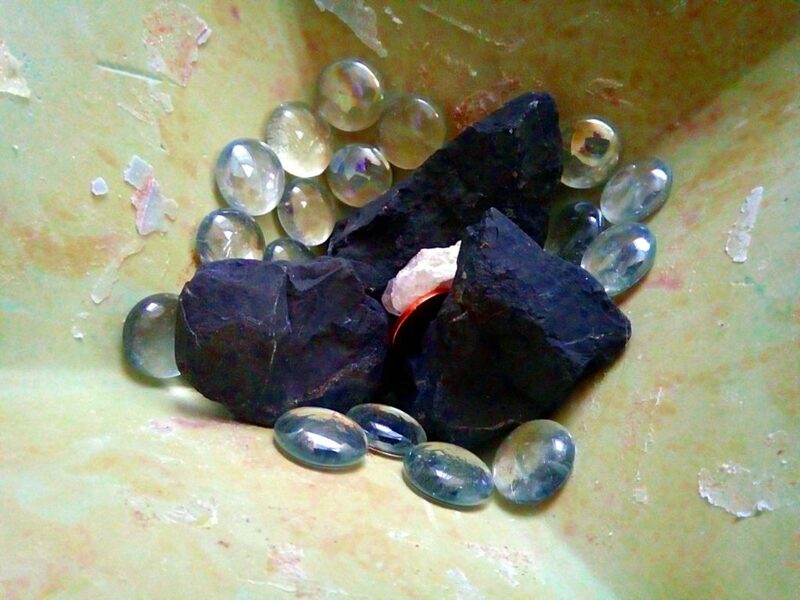 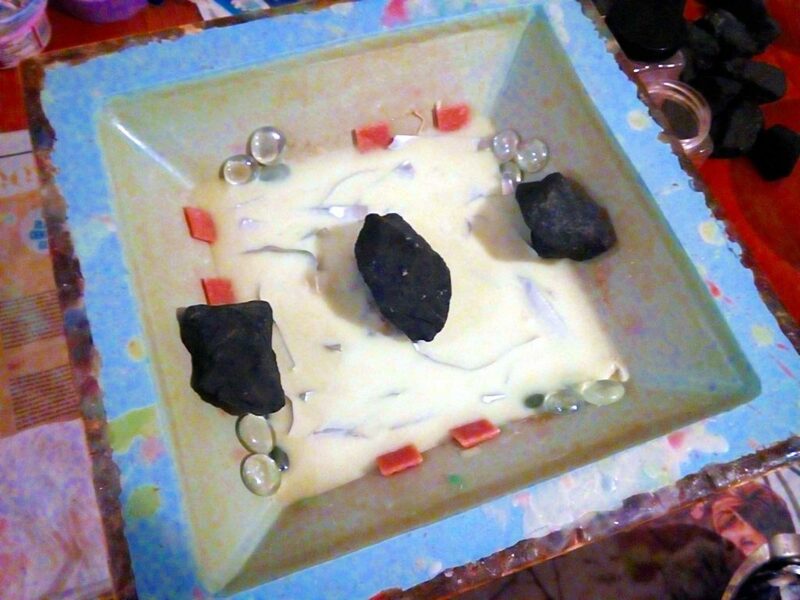 Has been done using many different minerals, as you can see in the gallery down here. 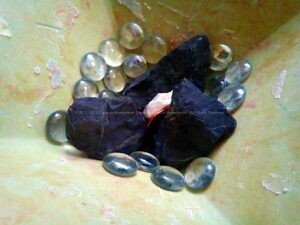 This pyramid has been done using several minerals and crystals, very big pieces of raw shungite, an enormous piece of quartz with black tourmaline, lens of glass, mosaic cards, metals, and of course beeswax. 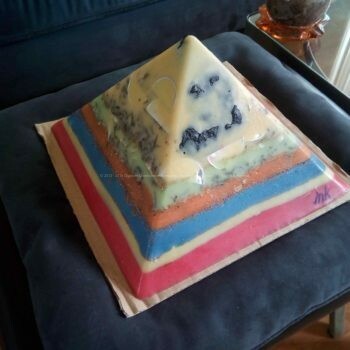 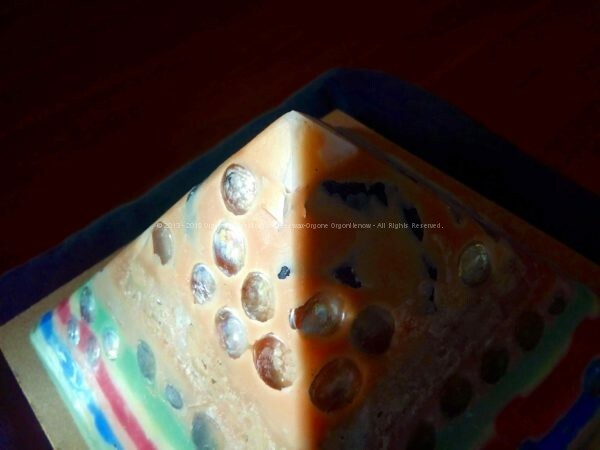 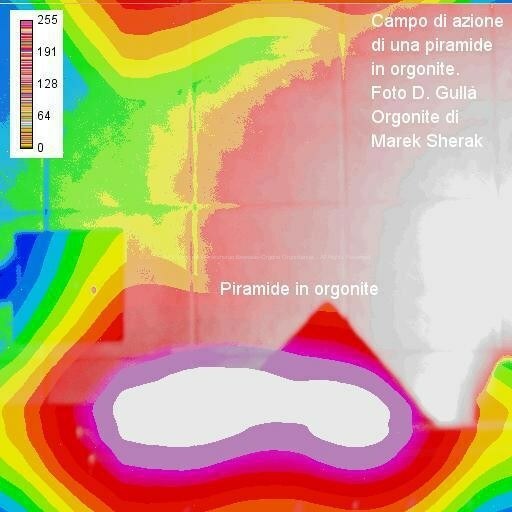 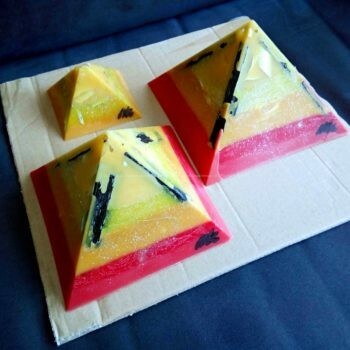 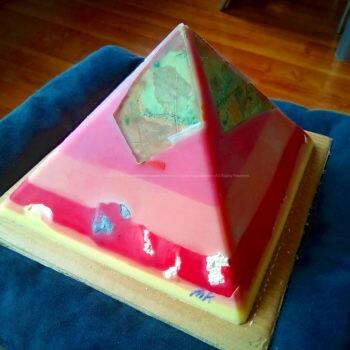 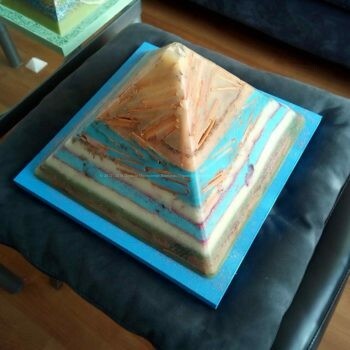 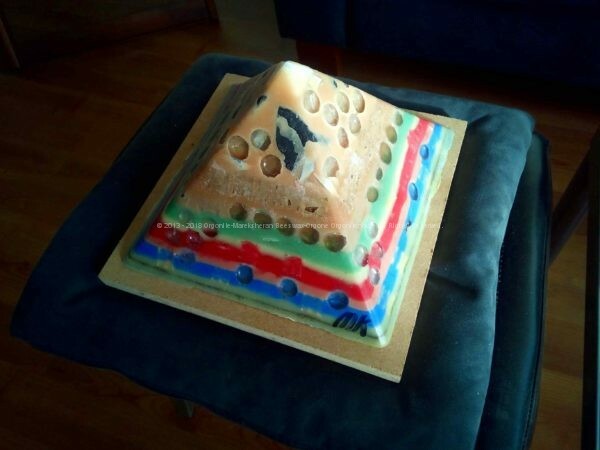 This Pyramid Orgonite has been done in December 2018 across full moon days, I called it Paris Pyramid because i was often thinking at paris in those days, and looking often bad news coming from. Then, about the top of this 24 cm Pyramid Orgonite, as been used a pyramid of White Jade.